The world is looking for solutions to make our food system more resilient, sustainable and effective. This new article from Stanford Social Innovation highlights the emerging role that loan guarantees can play in moving this work forward. "Many of us in the social enterprise sector—investors, entrepreneurs, philanthropists—see the need for an alternative food system that dramatically expands access to fresh food and supports sustainable local food production, and that ultimately helps create more resilient communities. For that to happen, we need to get outside our comfort zones and work together. Collaboration between philanthropists and investors in particular is essential to building an alternative food system." "It helps that food is a hot investment area in Silicon Valley, especially on the distribution end, where scalable online distribution businesses are attracting substantial capital." Smart investors, entrepreneurs, and philanthropists can utilize the Innovation Kitchen model to make regional foods profitable and sustainable. Remaking the Food System. 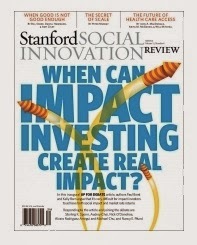 Stanford Social Innovation Review. Sept 30, 201. By Don Shaffer, President and CEO of RSF Social Finance.